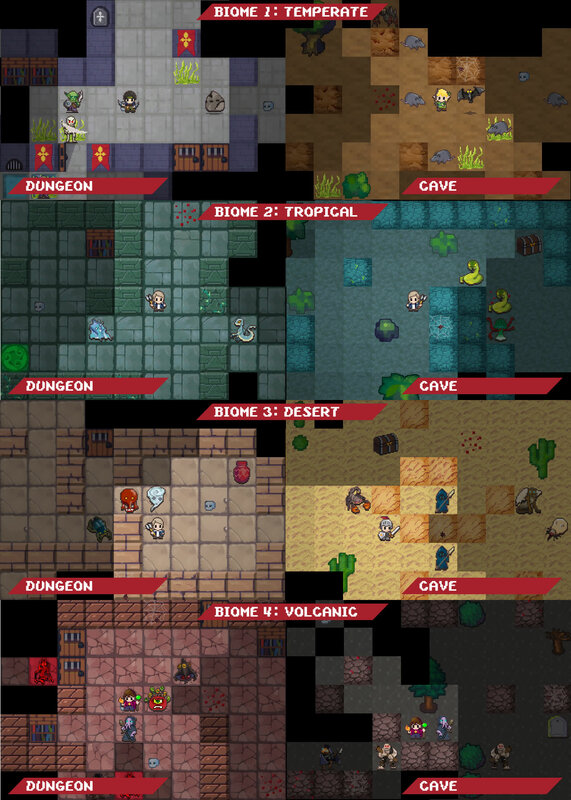 Paper Dungeons Crawler is a true classic 16 bits Roguelike, with a unique specialization system. Each class masters 4 rune types, with fun draw-to-cast spells. Shape your character based on his actions: if you want to specialize your warrior on bow, just use it more often. 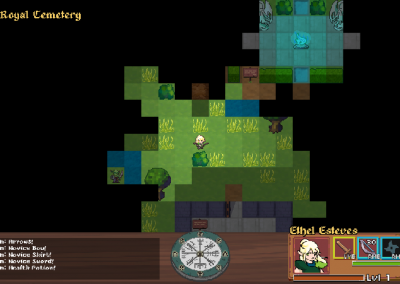 Explore the mysterious Dungeons of Cyndaria and unearth an extensive lore. 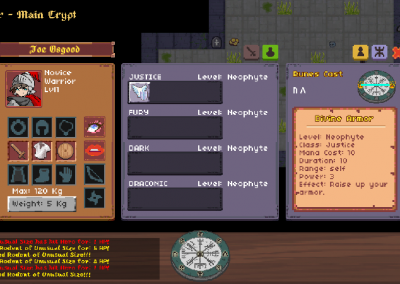 A plethora of creatures and magical items are waiting for you to step into ever-changing dungeons of diverse biomes and challenges. Defeat Dragon bosses to unleash hidden runes and recover the sacred seeds of Cyndaria to restore the divine trees. 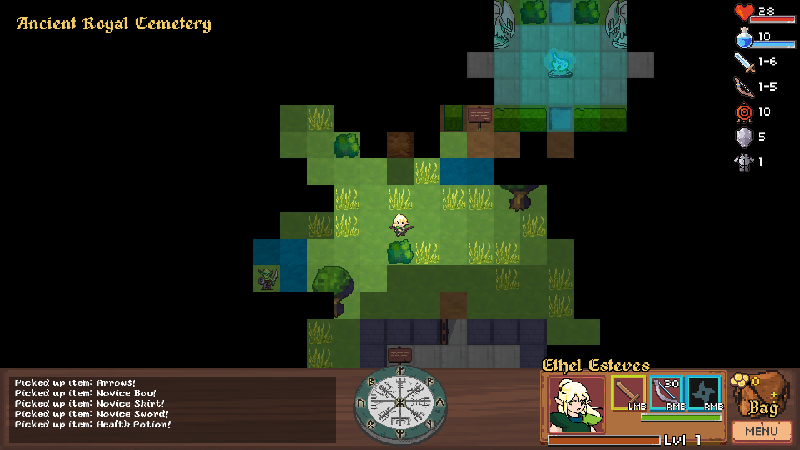 Dungeons can be unforgiving: be sure to eat and rest in time, use all your abilities wisely. 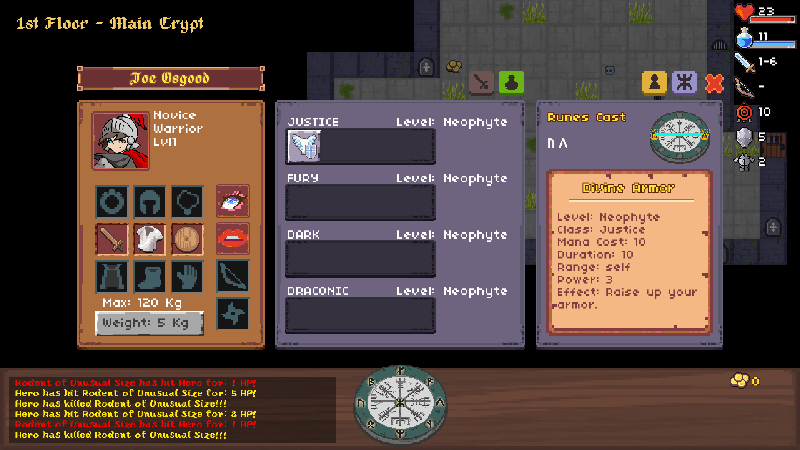 Nothing stops you from skipping bosses to rush and move to the next dungeon, but you’ll also meet true death if you don’t take time to level up your character and abilities. 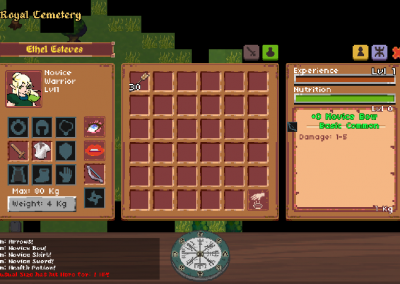 Paper Dungeons Crawler is now available on Early Access. 4 Biomes (with caves and dungeons). 9 specializations to level up: One-handed weapons, Two-handed weapons, Ranged weapons, Thrown weapons, Rune type 1, 2, 3, 4, Appraisal. 6 talents (natural gifts that help your specializations level faster): Champion, Heavy, Hunter, Ninja, Runic, Merchant. 25 randomized dungeon floors to beat. 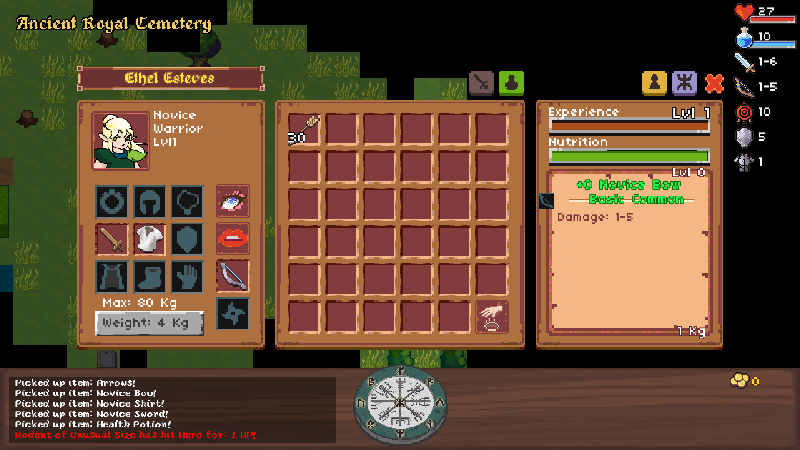 One-handed weapons, Two-handed weapons, Ranged weapons, Thrown weapons, Rune type 1, 2, 3, 4, Appraisal. Champion, Heavy, Hunter, Ninja, Runic, Merchant.